Indeed, John. 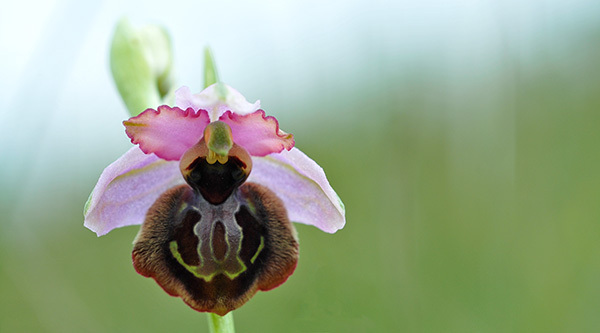 The interpretation that orchids adapt to insect behaviour implies an action of the orchid to a certain stimulans. That is not how it works. It is simply a game of a defect being accepted by the pollinating insect or not. When accepted, the defect is “successful”, or better said: not unsuccessful and passed to future generations. The orchid has no control over this as it doesn’t have any feedback mechanism by which it can measure success or failure. Mother Nature simply spits out a million differences and whatever differences are not rejected by the environmental factors (that include other organisms), live on. In rare cases differences are highly favoured and lead to an “explosion” of abberant plants. Orchid hybrid swarms are an example of this and sometimes they differentiate further into a new species. But oftentimes, the abberations are simply assimilated back into the overall population and “disappear”. thanks a lot for your input! I’ve added quotation marks to the headline.